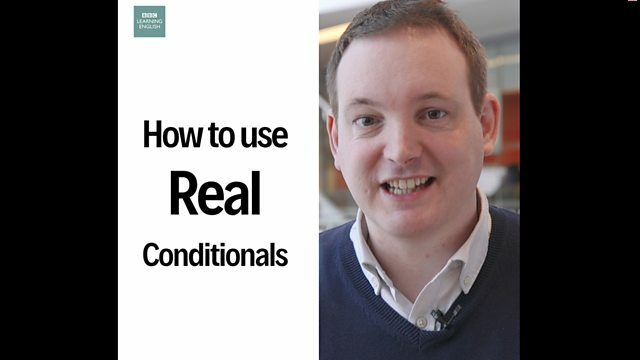 In today's One-minute English Phil will explain how to use real conditionals. ఇవాల్టి One-minute English కార్యక్రమంలో real conditionals ను ఎలా వాడాలో Phil వివరిస్తారు. Hi guys, it's Phil from BBC Learning English. Today we're going to look at how we can make conditional sentences easy. So let's start with a real conditional, something like "If it rains tomorrow, I'll bring an umbrella". It's real because it might happen… guys, it's London, it might happen, it might rain tomorrow. To make them, you just need to remember that there are two bits, the 'if' bit and we've got the results bit. For the if bit, just use a present tense, for the results bit we can use 'will' like the future. The other thing to remember is that the order doesn't matter, you can put them any way round. We use real conditionals to describe future possibilities. భవిష్యత్తు అవకాశాలను తెలియజెప్పడానికి real conditionals ను వాడతాము. We use them when one possible result depends on something else happening. ఒక సంఘటనపై ఆధారపడి ఒక ఫలితం సాధ్యం అయ్యే పరిస్థితులు ఉన్నప్పుడు real conditionals ను వాడతాము. If I finish work early, I'll go shopping. If I wake up early tomorrow, I'll make a big breakfast. If we use a real conditional it means that we believe that something is genuinely possible. ఒక సంఘటన నిజంగా జరగబోతుందని నమ్మినప్పుడు real conditionals ను వాడతాము. We add do + not to the 'if' clause to make the negative form. If I don't like the music, I'll go home. I'll go home if I don't like the music. If I make dinner, will you stay? Will you stay if I make dinner? Real conditionals లో ఉండాల్సిన రెండు అంశాలేమిటి? ఉపవాక్యాలు (clauses) ఏ క్రమంలోనైనా ఉండొచ్చు అని గుర్తుపెట్టుకోండి. Real conditionals కు వాడే కాలం (tense ) ఏది? Which sentence is a real conditional? 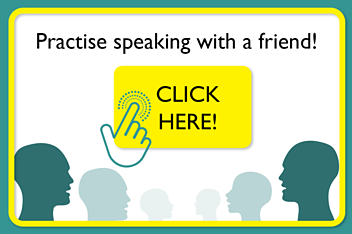 Use any present tense in the if clause: this means that the condition does not have to be in the present simple e.g. If the road has been blocked by snow by tomorrow morning, I won't go to work. 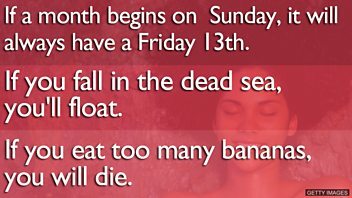 If it is still raining on Friday, I won't got to the beach. If it snows on Friday, I could build a snowman - but I don't really want to.